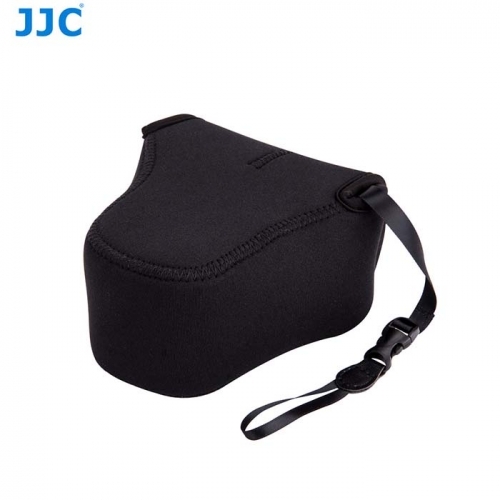 JJC OC-F2 camera pouch will accommodate a camera body with a lens up to 127 x 85 x 130mm / 5 x 3.3 x 5.1" (W x H x D). This series camera pouches are mainly suitable for Mirrorless Cameras and Advanced Zoom Compacts of Sony, Canon, Olympus, Fujifilm, Samsung, Panasonic, etc. The following has listed part of compatible cameras.